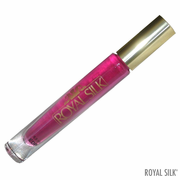 Sensual, enticing Royal Silk® perfume with an extraordinary scent. A scent kissed with the breeze of Imperial Gardens. This 8.8 ml eau de parfum is a roll-on made in USA. 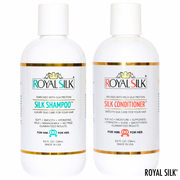 Our premium Silk Shampoo & Conditioner are enriched with silk protein and fragranced with bright soothing notes of sandalwood. This one-of-a-kind Royal Silk necklace reflects our Princeton-based artist’s impressive technique of combining interesting semi-precious stones with rare and beautiful beads to create a refined jewelry aesthetic. 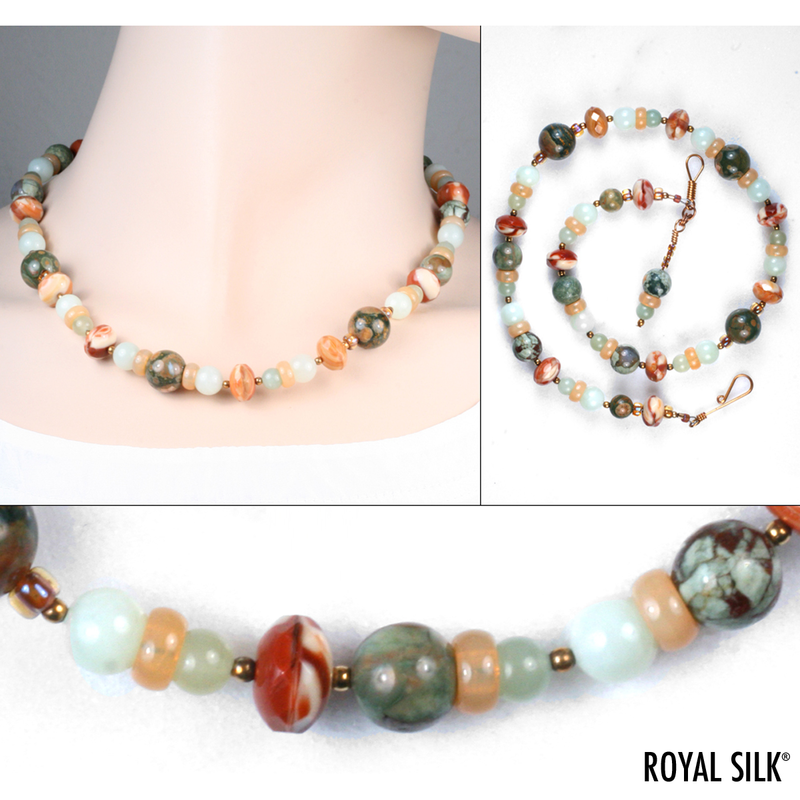 Behold above an eye-pleasing melange of lustrous rhyolite and mineral serpentine stones that are meticulously arranged with Czech “hurricane” glass, Javanese rondelles, and fine 22-carat gold-plated bead details. Smartly detailed with hand-made and hand-tied hook clasp. Designed and handcrafted in the USA. 18”.